Come out and Join TBFC and it's partners for a family friendly youth seawall fishing tournament! 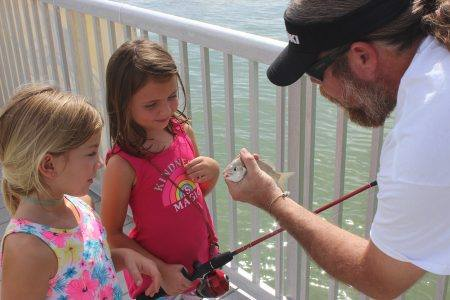 Live shrimp and cut bait will be provided by our partners at the Bellaire bait shop! Our brothers and partners with Salt Strong Fishing will be bringing the eats, and TBFC will be providing a healthy prize pool for all the kids in attendance, as well as free combos for the kids! Several page partners are donating prizes, including Todd Krohn with Nekid Ball Jigz and Ron Simon with Fishing Supply Liquidators! We will also be using this event to collect donations of toys for our annual Xmas toy drive, in cooperation with the folks with FlatsMafia Fishing and 102.5 The Bone in support of Metropolitan Ministries! There will be two age brackets, from 0-8 years old, and from 9-14 years old. There is no cost to enter, but we encourage participants to bring a toy for the drive to enter! There will also be a cash raffle for prizes TBA, the proceeds of which benefit Metropolitan Ministries, and TBFC youth events. Lines in the water at 11, no fish caught prior count. We will start grouping up and dispersing gear and baits, and signing kids in from 10-11! Location is 3900 W. Bay Drive, Bellaire Bluff, FL.